Irish potatoes grow well in areas that receive regular rainfall and have a cool climate with temperatures ranging 10 – 23. Irish potatoes grow best in mild degrees Celsius with abundant rainfall 900-1400mm per annum. For best production, potatoes need full sun. They do best in a loose, well drained, slightly acid soil. Poorly drained soils often cause poor stands and low yields. Heavy soils can cause the tubers to be small and rough. Before spading, remove the rocks, trash, and large sticks from the soil. Spade the soil 8 to 12 inches deep turning the earth over to cover all plant material. Because potatoes need adequate fertilizer early in the season, apply most of the fertilizer just before planting. Use 2-3 bags per acre (Around 150 Kgs -200 Kgs). 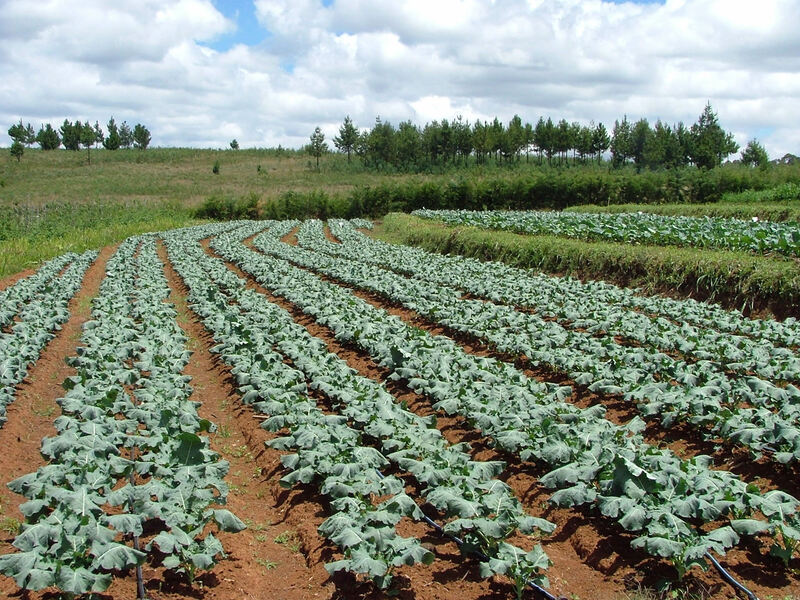 Good Agricultural Practice (GAP) requires that fertilizer rate be based on soil test results that will provide information on nutrient status and soil pH. Do not allow the fertilizer to touch the seed piece. Mix the fertilizer (10g per hole) with the soil before putting the seeds inside the hole.